Eva is an incredibly gifted and passionate activist who became dedicated to raising awareness of sexual violence when she was battling what was terminal cancer. ​Eva has been directly responsible for raising over $55, 000 for HELP Auckland. evas_wishWe are heartbroken to tell you all that Eva left us yesterday morning. It was very fast and peaceful and she was surrounded by her loved ones. Thank you so much to all of you who have followed Eva's journey and supported her dreams. We expect the funeral will be later in the week in Wellington- will keep you all posted here once we've finalised the details. Kia au to moe e Eva. Eva is fantastic! She inspires with great vision and her determination to make it happen, but she also has her feet on the ground and understands that providing services cost money! She has helped us and the survivors we help, in any way she could. Thanks Eva. EvasWish provides a platform for young people to become successful activists and to be able to create change in the areas they are most passionate about. The EvasWish vision of success is to equip young people with the skills they need to go out and make a positive difference. They do this through educating, teaching and supporting young people. They aim to be the first step on the staircase to help Kiwi young people changing the world. 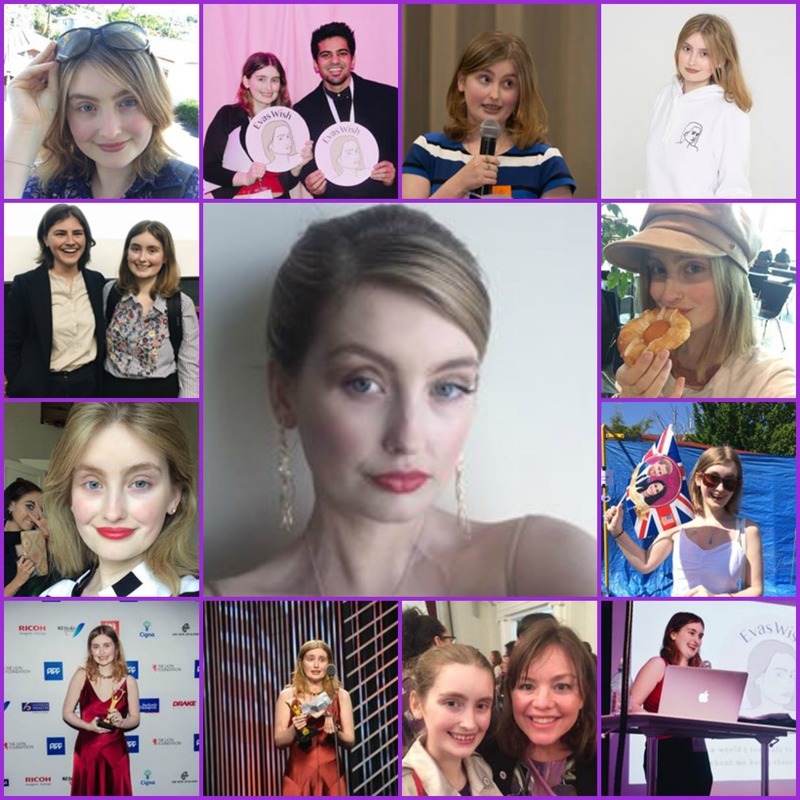 Eva's goal is for other people to be able to do this for the causes they care about, and EvasWish aims to make that happen through challenging, empowering and educating young people to change the world and to create a better, safer New Zealand for the kids of tomorrow. "Survivors of abuse show us the strength of their spirit every time they smile."